This is a complete facility renovation of the existing school. The new design will be in keeping with the design guidelines of the Downtown Historic Commission. 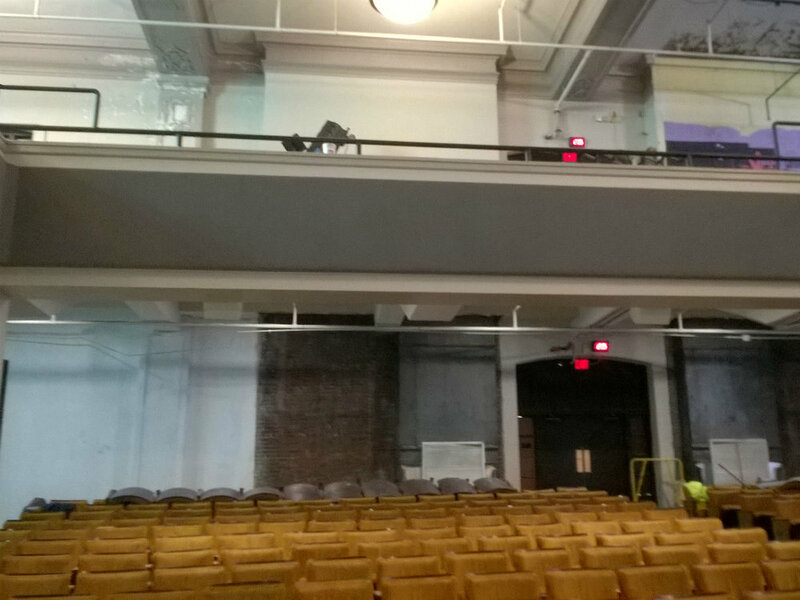 The existing hardwood floors and plaster ceilings will be kept intact as much as possible in the new design. Where original windows remain, they will be replaced with new energy efficient windows that are in keeping with the original design aesthetic. 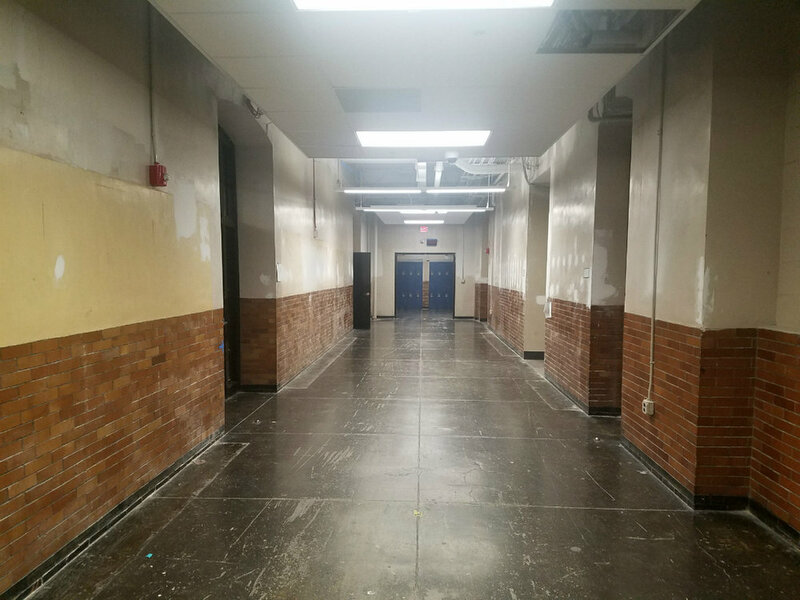 This project as includes new lighting, technology infrastructure and new electrical, plumbing and HVAC. The project is substantially complete. Completed photos will be posted in the coming weeks. Phase 7 Multipurpose Room finish work to be complete. Phase 7 Staff training Room finish work to be complete. Phase 7 Small Gym to be complete. Phase 7 Multipurpose Room finish work to continue. Phase 7 Staff training Room finish work to continue. Phase 7 Wrestling Room to continue. Phase 7 Small Gym finish work to continue. Phase 7 Multipurpose Room rough in work to continue. Phase 7 Staff training Room rough in work to continue. Phase 7 Multipurpose Room finish work to begin. Phase 7 Staff training Room finish work to begin. Phase 7 Wrestling Room to begin. Exterior window replacement to be completed. New Lockers to be completed. Phase 6 classroom demolition to be complete. Phase 6 classroom MPE rough in to be complete. Phase 5 classroom finishes to be complete. Hallway ceiling cloud work to continue. Exterior window replacement to begin. Phase 5 classroom demolition to be complete. Phase 5 classroom MPE rough in to be complete. Phase 5 classroom finishes to begin. 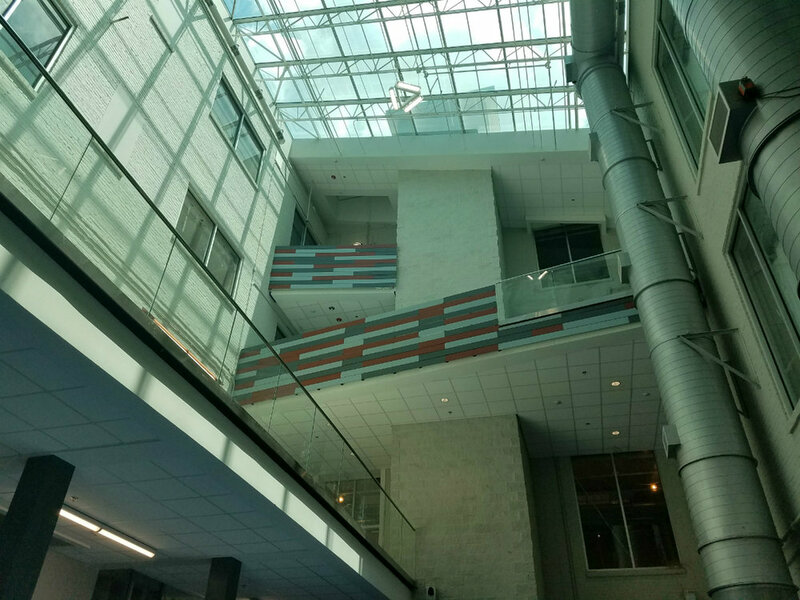 East Atrium work to be completed. Phase 5 classroom demolition to continue. Phase 5 classroom MPE rough in to begin. Phase 4 Science rooms to be complete. Phase 5 classroom demolition to begin. Auditorium to be completed and turned over. East Atrium work to continue. 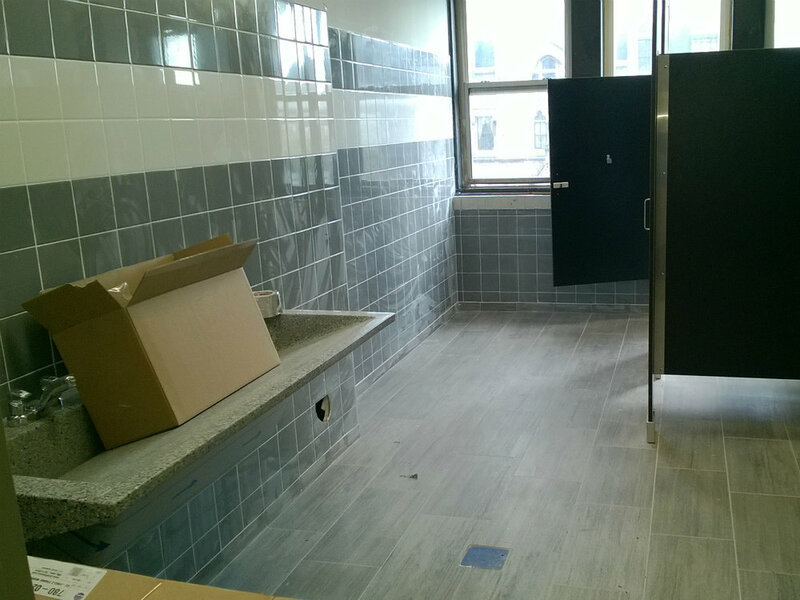 Phase 3 Classrooms and Restrooms to be turned over. Phase 4 Classroom Demolition to begin. Demolition of 3rd floor for Phase 3 to continue. Demolition of old Art room to begin. Art room to be completed by the end of the month. Demolition of 3rd floor for Phase 3 to begin. Test and Balance of new fan coil units for Phase 2. Installation of Phase 2 Outside Air units to be completed. Ceiling tile installation for clouds. Slope Glazing at Art room. Installation of new fan coil units. Ceiling grid installation for clouds. Finishing of drywall for Phase 2. Continuation of overhead rough in for Phase 2. Coordination of Kitchen and Cafeteria Renovation for Summer work. Continuation of framing and rough in of new walls. Commencement of installation of structural steel for new openings in existing masonry walls Phase 2. Framing MPE rough in of new restrooms. Commence rough-in of Mechanical, Plumbing and Electrical. Rough trades, carpentry, blocking, framing. Ordering of finish materials for all of Phase 2. Completion of demolition of phase 2 areas. Issue contracts by Construction Manager for sub contracts all disciplines in Phase 2. Demolition of phase 2 areas. Bidding by the Construction Manager for sub contracts all disciplines in Phase 2. Awarding of sub-contracts to successful bidders. Preparation and commencement of finishes as applicable. Amendment #3 to the Metro Charter, which provides Residency and Low Income Requirements for Metro Government Projects, does not apply to Metropolitan Public Schools. Bids and proposals to MNPS should not reflect these requirements or any costs associated with them.